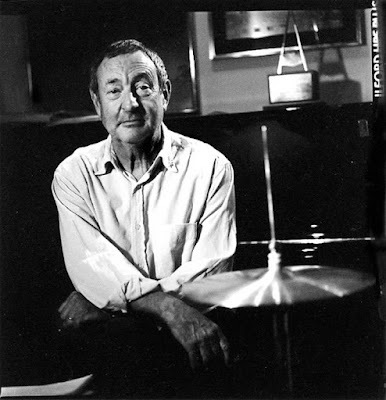 Pink Floyd drummer Nick Mason will release a box set collection of his solo albums, “Unattended Luggage”, on August 31. The limited-edition offering compiles the rocker’s 1981 release, “Nick Mason's Fictitious Sports”, 1985’s “Profiles” and 1987’s “White Of The Eye” soundtrack in both 3CD and 3LP vinyl packages for the first time in over 20 years. The drummer’s debut effort, “Nick Mason's Fictitious Sports”, saw him collaborate with a variety of different musicians including Robert Wyatt and Carla Bley. His second album, “Profiles” - a collaboration with 10cc guitarist Rick Fenn – was a mainly instrumental record except for the tracks "Lie For A Lie," which features vocals from Maggie Reilly and former Pink Floyd bandmate David Gilmour, and "Israel," sung by UFO keyboardist Danny Peyronel. A soundtrack for a British thriller movie of the same name, “White Of The Eye” saw Mason once again collaborate with Fenn. "These recordings hold a very special place for me in my musical life,” explains Mason. "Listening back after 30 odd years, I'm delighted they are getting the reissue treatment. I'm rather hoping that sales will be sufficient to damage the market in the original rare vinyl versions!" In addition to the box set, the individual albums will all be available as a download and through streaming platforms. The Pink Floyd drummer and his new outfit, Nick Mason's Saucerful Of Secrets – named after the UK group’s second album – recently made headlines with a series of concerts in London that saw them perform vintage material from the legendary band’s pre-“The Dark Side Of The Moon” era. The rare club appearances marked Mason’s first live musical outing since Pink Floyd played at the 2005 Live 8 concert in London. Mason and company will return to live action this fall for a month-long tour of the UK and Europe that will begin in Stockholm, Sweden on September 2.